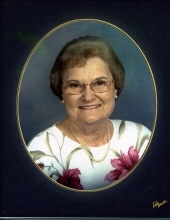 Doris Roberson Wells, 89, of Plymouth died Thursday, March 14, 2019, at Vidant Medical Center in Greenville. Born August 3, 1929 in Edgecombe County she was the daughter of the late Ira Roberson and Allie Lucille Bullock Roberson and was preceded in death by her husband Raleigh Lee Wells; brothers, Alton Roberson, Harvey Roberson, Hugh Roberson, Carl Roberson and Ira Roberson. Mrs. Wells retired as an accountant with Wake County Public Schools and was a member of First Baptist Church. Her family includes her nieces, Julie Bennett and Naomi Carraway of Plymouth, N.C., Martha Wilson of Hertford, N.C. and nephew Michael Jackson of Raleigh, N.C.
Graveside service will be held Sunday, March 17, 2019 at 3:00 pm at Jamesville Cemetery with Reverend Jimmy Hagwood officiating. Family will receive friends following the graveside service. In lieu of flowers donations may be made to First Baptist Church, Plymouth or Washington County EMS. Arrangements are by Maitland Funeral Home, Plymouth. "Email Address" would like to share the life celebration of Doris Roberson Wells. Click on the "link" to go to share a favorite memory or leave a condolence message for the family.